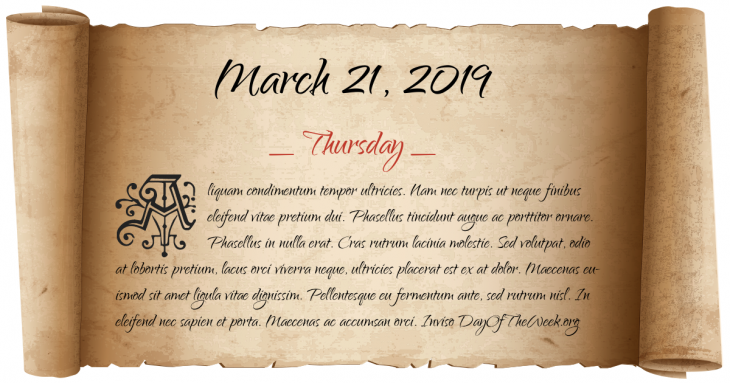 What Day Of The Week Was March 21? The Battle of Alexandria is fought between British and French forces near the ruins of Nicopolis in Egypt. Wehrmacht officer Rudolf Christoph Freiherr von Gersdorff plots to assassinate Adolf Hitler by using a suicide bomb, but the plan falls through. Von Gersdorff is able to defuse the bomb in time and avoid suspicion. World War II: Bulgaria and the Soviet Union successfully complete their defense of the north bank of the Drava River as the Battle of Drava concludes. In a Tel Aviv, Israel coffee shop, a suicide bomber kills 3 and injures 49.
Who were born on March 21?